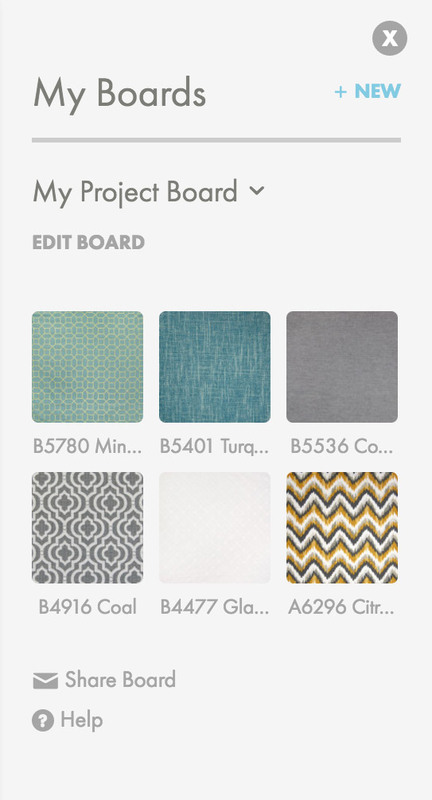 Greenhouse Fabrics makes it easy to send your fabric choices using our Project Board. To open your project board, click the My Board in the upper right corner of any page. Click on any fabric and it will be moved to your project board. Complete the required information and the recipient's email address.